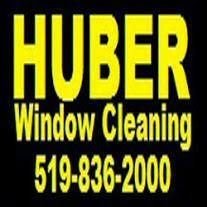 Huber Window Cleaning has been servicing the Guelph, Kitchener Waterloo and Cambridge areas for the last 43 years. Recently we added Milton into our regular service area! Huber Window Cleaning has been family run since 1973 and continues to grow at an impressive rate while still maintaining the sound principles that started this company. We believe that customer service should be and is our number one priority and strive to make your experience a memorable one.